Hyundai Motor India Ltd will soon launch an updated version of the Creta. 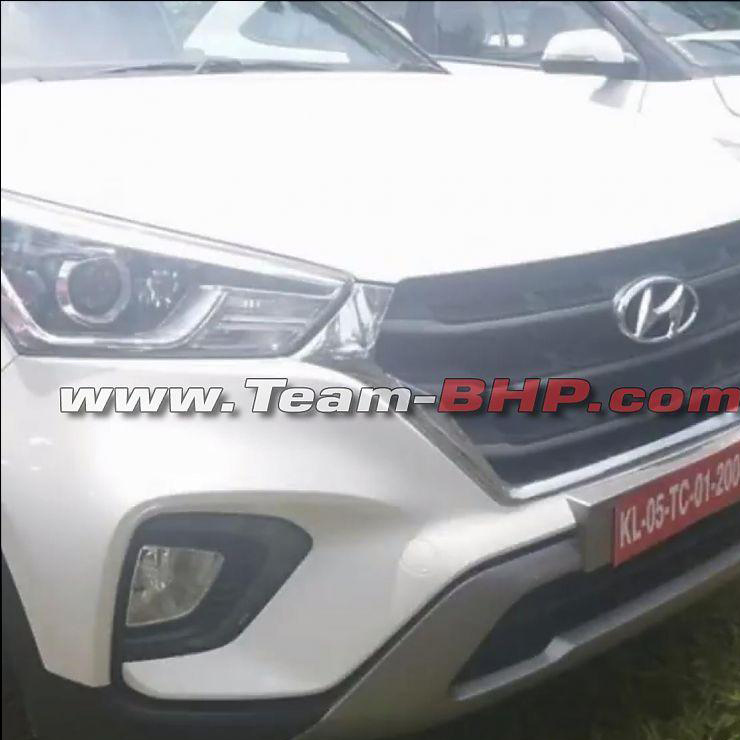 The upcoming Hyundai Creta facelift will feature an updated exterior and interior along with some additional features on the top-end trim. The launch will happen later this month. 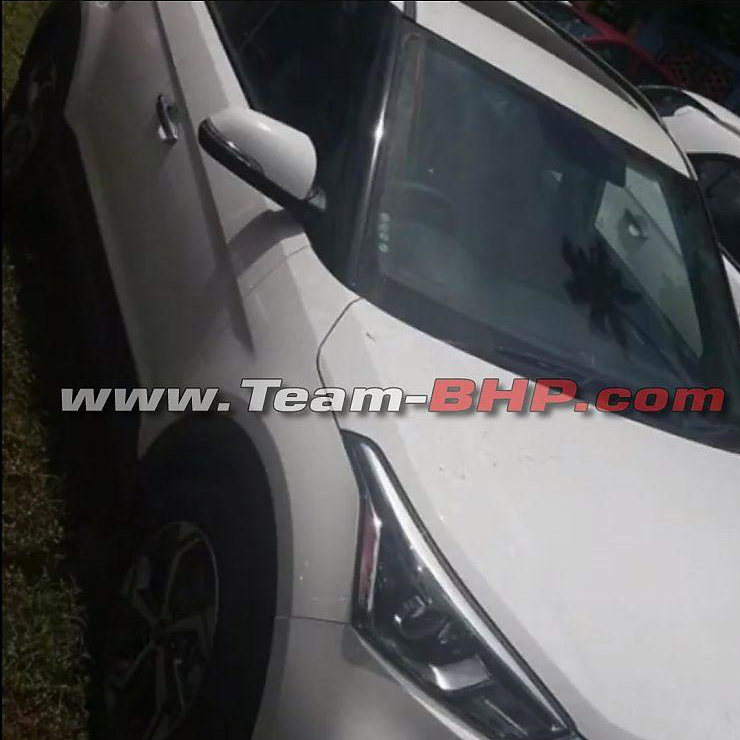 The upcoming car was spied testing recently. Also, we have some images of an uncamouflaged vehicle that seems to have been spotted in a dealership stockyard. On the outside, the Creta facelift will carry a comprehensively updated front-end. It will get a set of new projector headlamps with LED DRLs. It will also get the company’s signature cascading effect front grille. The bumper will be new and will have a dual-tone look with a faux skid plate. The only change in the side profile will be the new design for the alloy wheels. The rear will get a set of new taillamps and an updated bumper. The interior will get a new upholstery and a new trim for the aircon vents. Also, there will be an orange colour interior pack if you chose a dual-tone exterior colour scheme. 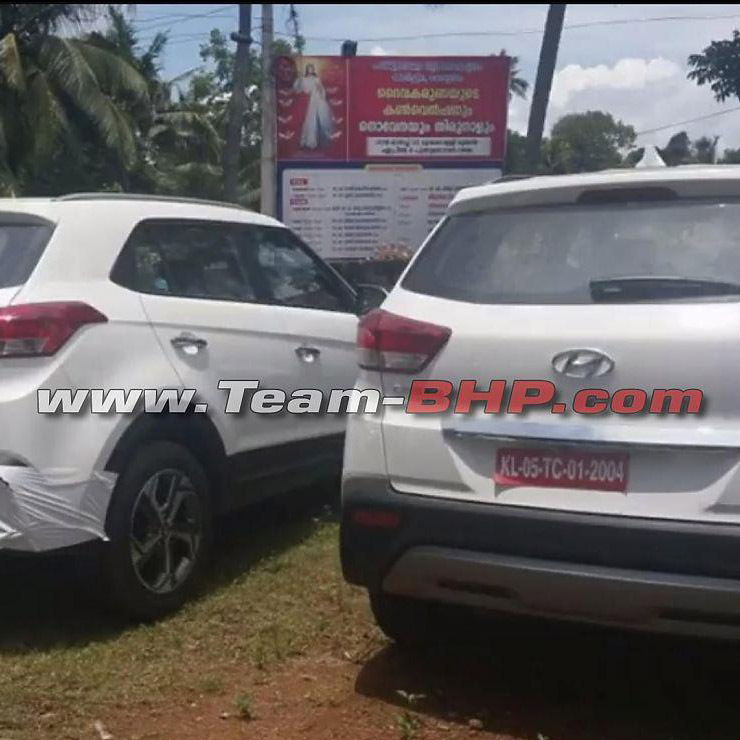 The 2018 Hyundai Creta facelift will offer seven single-tone exterior paint options – Polar White, Sleek Silver, Phantom Black, Stardust, Fiery Red, Passion Orange and Marina Blue. Dual-tone paint options will include – Polar White with Phantom Black and Passion Orange with Phantom Black. The top-end variant of the Creta facelift will get a host of new features in the form of a Smart Key Band, 6-way electrically adjustable driver’s seat, electric sunroof, wireless charging and cruise control. The engine options will remain exactly the same. The Creta has been on sale with two diesel and 1 petrol engines. The smallest of these is the 1.4-litre diesel motor that outputs 90 PS and 220 Nm. It comes mated to a 6-speed manual transmission. The 1.6-litre petrol engine outputs 123 PS and 151 Nm. The 1.6-litre diesel engine is the most powerful option as it offers 128 PS and 260 Nm. Both the 1.6-litre engines come mated to a six-speed manual transmission as standard. You can also opt for a 6-speed automatic transmission. Prices of the Creta won’t see any significant difference. While the lower trims are expected to get slightly cheaper, the top-end variant will see a slight increment in price owing to the new features on offer.